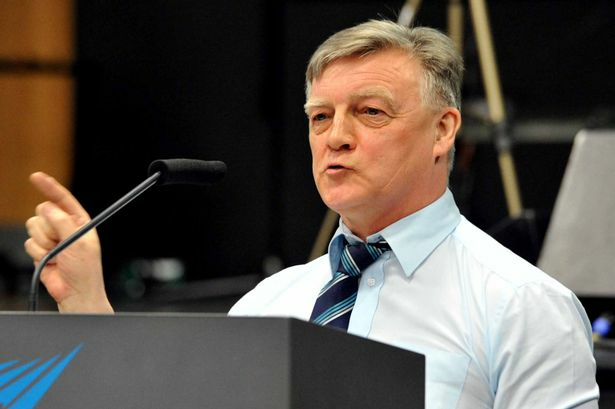 The Government has confirmed the local TV licence for Birmingham will be re-advertised if City TV does not launch by November 6, after Selly Oak MP Steve McCabe branded the delay a "fiasco". In reply to a Parliamentary question from Mr McCabe, Minister of State for Culture, Media and Sport Edward Vaizey said November 6 was the deadline for parent group BLTV to launch the channel. Mr Vaizey said: "Local TV licences issued by Ofcom expire on November 25, 2025. "Successful applicants have two years from the date they were awarded the licence to begin operating services, at which point their licence commences. "The Birmingham licence was awarded on November 6, 2012 and the licence holder must be on air by November 6, 2014. Where a local TV station does not launch within two years, Ofcom’s policy is to re-advertise the licence." In a separate question on when the Department for Culture, Media and Sport last met BLTV to discuss progress on delivering local TV to Birmingham, Mr Vaizey said: "DCMS ministers have not met representatives from BLTV." Before tabling the questions, Mr McCabe told the Post last week: "This is not good enough. Birmingham is being short-changed. All there seems to be is radio silence after all this fanfare. "Clearly, something has gone wrong. Given that there is public money involved, I am surprised that the Government has not taken more interest." The BLTV team - led by former Birmingham City Council PR boss Debra Davis and Alan Grindley - now have just three-and-a-half months to meet the deadline. Ms Davis failed to respond to calls from the Post to reveal whether any plans for a studio or staff appointments are yet in place. She previously pledged the station would broadcast on Channel Eight Freeview, covering 1.2 million households in Birmingham and the Black Country. In her last public statement on progress, she said in May: "We are making excellent progress for an autumn launch. "There is a great deal of work going on in the background around logistics and programming. "Viewers in Birmingham, Solihull and the Black Country will be able to tune in soon. It is very exciting!"